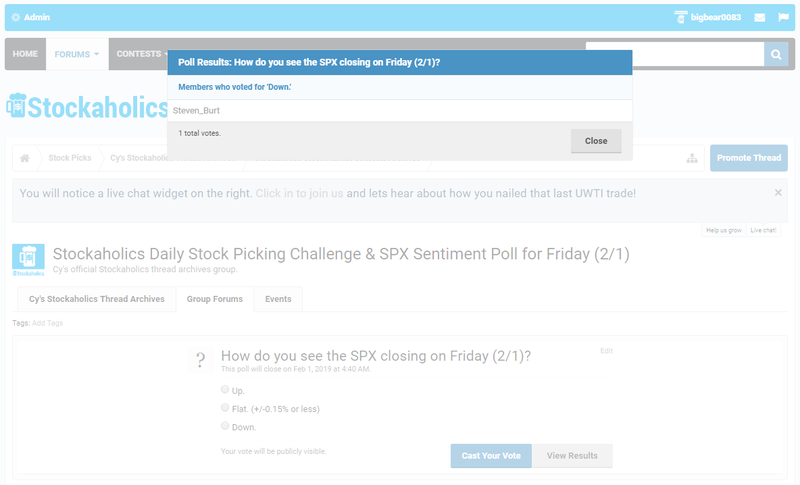 How do you see the SPX closing on Friday (2/1)? 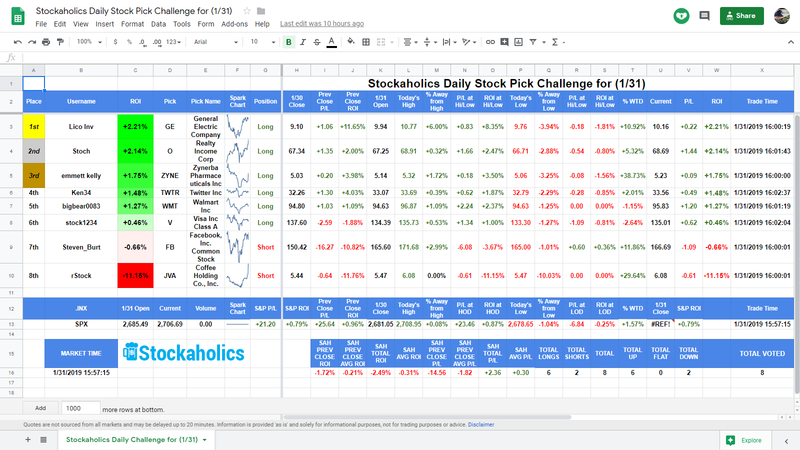 Congrats to @Lico Inv the Stockaholics Daily Stock Pick Winner for (1/31)! On to the next! 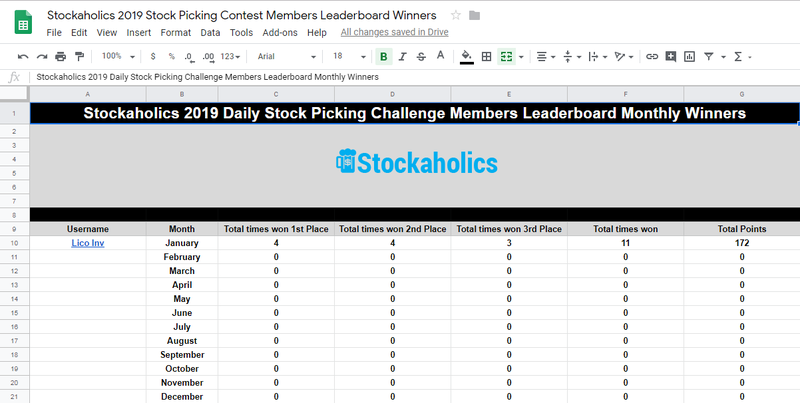 The Stockaholics Daily Stock Picking Challenge for (2/1) starts at the opening bell on Friday, February 1st, 2019. 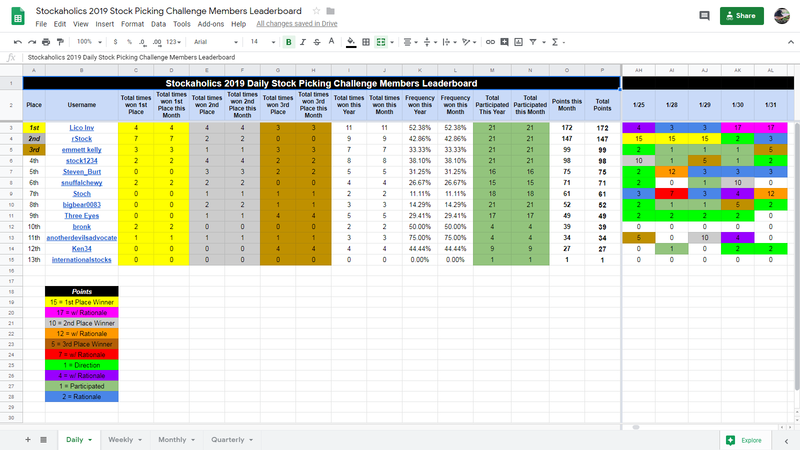 Remember...the challenge starts at the opening bell on Friday, February 1st! 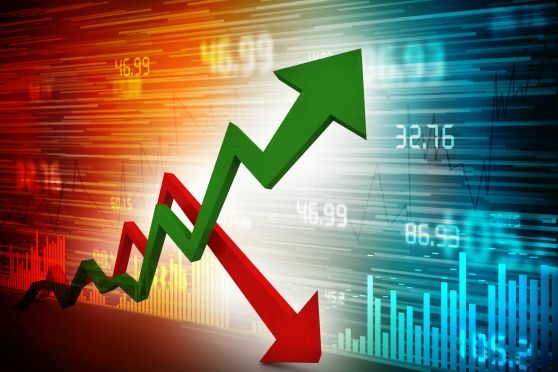 How does Stockaholics think the S&P500 will close 2/1? 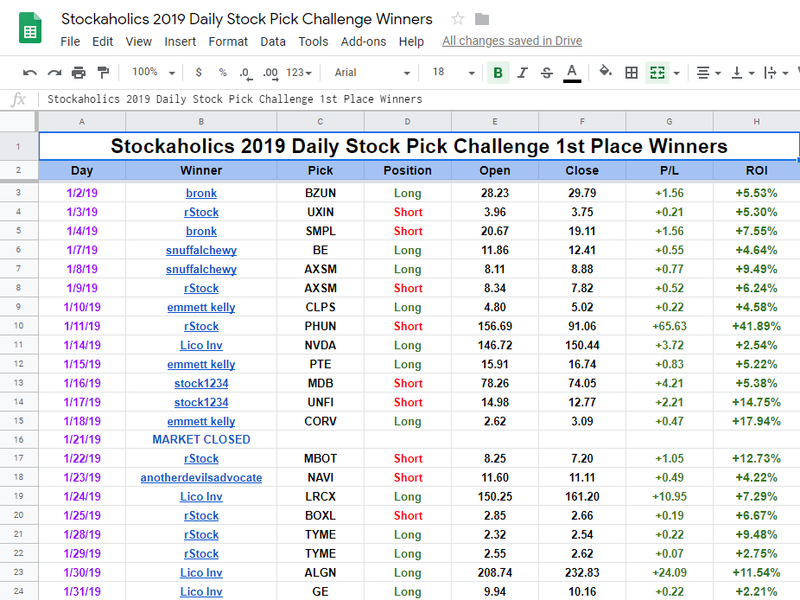 Congratulations to today's daily stock pick winner and 4th time winner of the daily stock pick challenge in 2019 (4th time winner in January!) -- @Lico Inv! 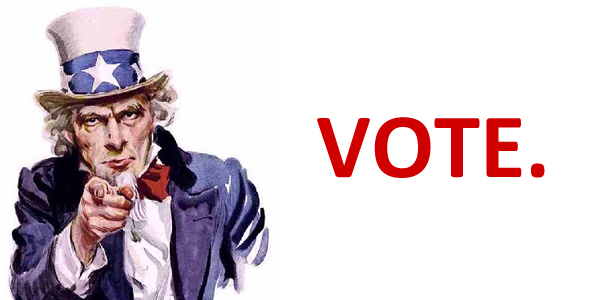 Some worthy mentions also go out to our 2nd place winner @Stoch -- and 3rd place winner -- @emmett kelly! 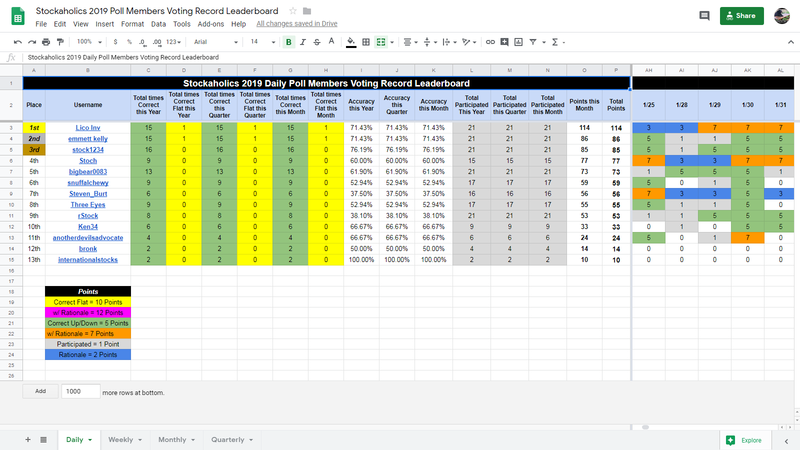 Congratulations to @Lico Inv our January daily stock picking members leaderboard winner with 172 points this month! 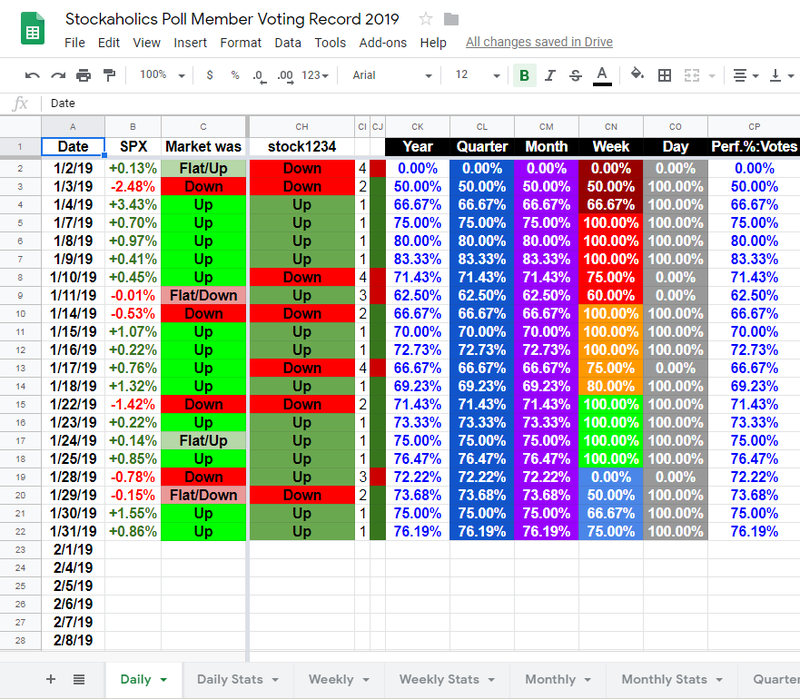 @stock1234 is our daily poll percentage winner for the month of January with a 76.19% voting accuracy for the month! 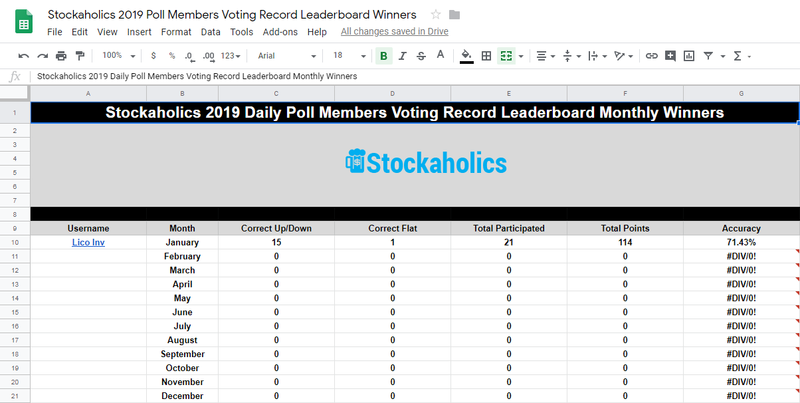 Congratulations to @Lico Inv our daily poll members leaderboard winner with 114 points this month! Wow! 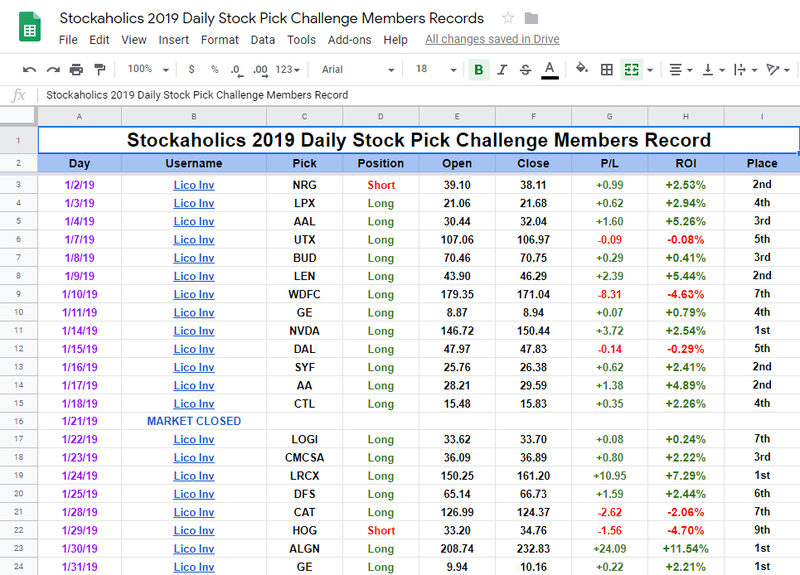 Big time kudos and congrats goes out to @Lico Inv with a clean sweep of the leaderboards for the daily stock picking and market direction calling for the month of January to kick off this 2019! That deserves some serious props! agree. good to have you in the mix, @Lico Inv . Much appreciated. This community is always an enjoyable one. $GE, one of my favorite stories of the past few years, and a very interesting co. to watch (with the vast history they have; gives them countless connections). Never got the chance to post up these January daily stock picking stats for @Lico Inv last night, but here they are. 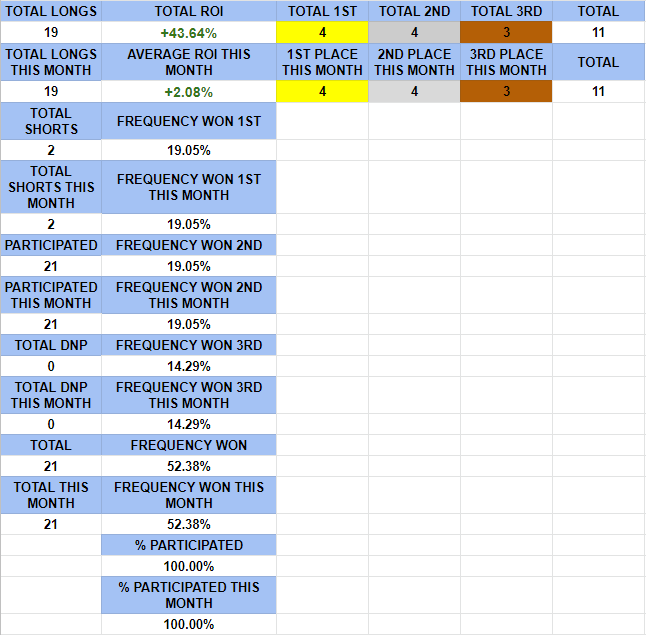 52.38% winning percentage and +43.64% total roi of all picks for the month is a nice stat!